Fitsoft solution is free for personal use. For business and commercial sites we charge a service fee on transactions. More Details on the fees? For every class you sell using Fitsoft , we charge 2% of the class value plus $0.99 per transaction to your member. This fee will be added to the checkout (paid by your member). This allows us to maintain and host your site for free. You only get charged when you make money. 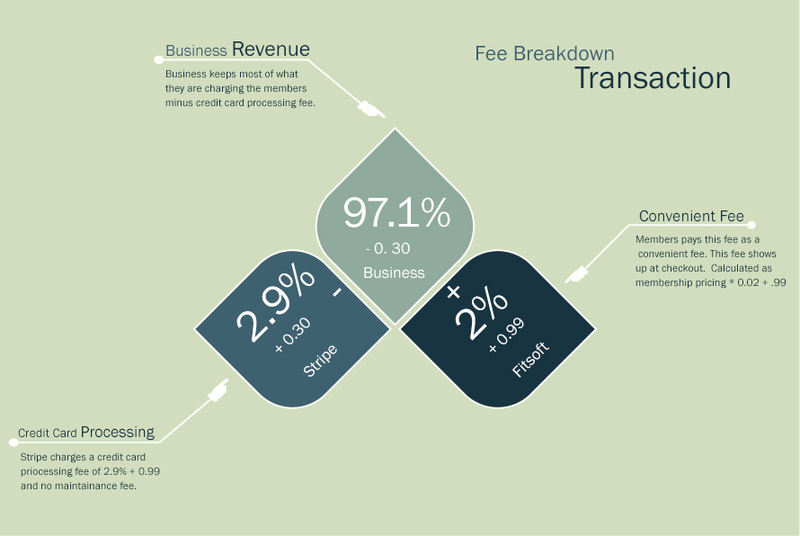 Fitsoft’s credit card processing partner charges a 2.9% + $0.30 per transaction to your total class value (paid by you).